Walmart drives working conditions in retail. Walmart’s size is unparalleled: with 1.5 million American workers, the company is the largest corporate employer and the largest low-wage employer in the country. Walmart employs one out of every 100 private sector employees and one in 10 retail workers. Walmart sets industry standards, profoundly impacting local economies, working people, and their families. When Walmart takes the low road, its bad practices are often mimicked by other retailers. But when Walmart does the right thing and leads by example, the industry also often follows suit. In an effort to better understand the experience of Walmart’s massive workforce, we surveyed over 6,000 Walmart associates currently working at the company, representing all 50 states, Washington, D.C., and Puerto Rico. 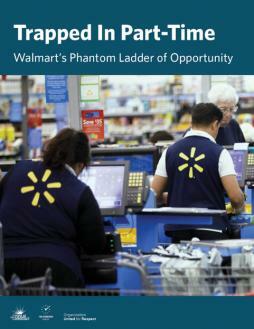 The survey data sheds important light on the crisis of underemployment, low wages, persistent earnings limitations, and lack of opportunities for Walmart associates.